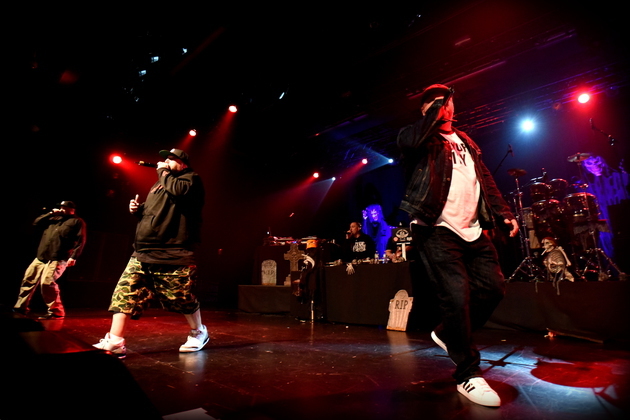 Our friends at Brooklyn Vegan were in the house at this year’s sold-out Haunted Hill concert with La Coka Nostra, Cypress Hill, Immortal Technique, and Vinnie Paz. They thoroughly covered the event with photos, video, and even Cypress Hill’s set list of songs. During La Coka’s set, there was a surprise reunion from Non Phixion which was well received by the crowd. Check out the media coverage here.